If you're looking forward to the upcoming release of Valkyria Chronicles 4 on Switch, today is your lucky day, as digital pre-orders and a demo for the game are both going live on the Nintendo eShop. Sega has confirmed that digital pre-orders will be available on all platforms today, and these will come with a special bonus - the 'A Captainless Squad' add-on mission. In this side mission, a group of Squad E soldiers find themselves on an impromptu reconnaissance operation after the squad's beloved medic dog, Ragnarok, goes missing. This bonus add-on content will be available immediately on the game's launch date for anyone who places a digital pre-order - although you will have to have reached Chapter 10 in the main story. If you don't want to place a pre-order, never fear, as the add-on will also be available as a standalone add-on item for $4.99 in late October. Of course, a pre-order would save you money here if you definitely want to have the extra content. 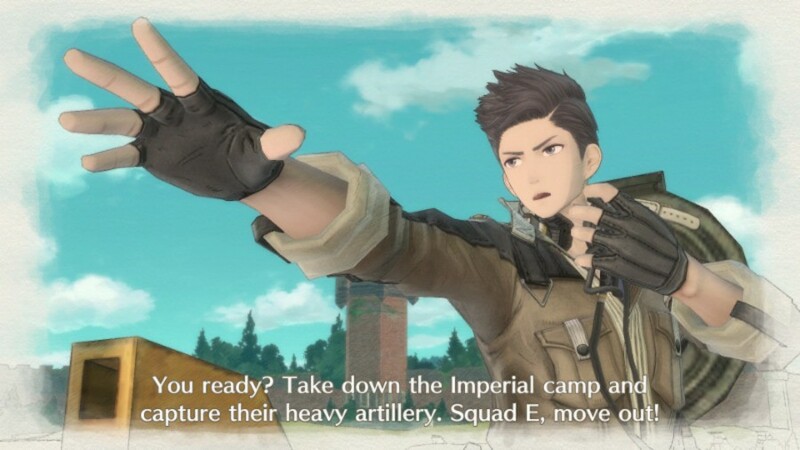 The demo, which should also be available on the eShop from today (keep trying if it hasn't appeared in your region just yet), will have you joining Commander Claude Wallace and his comrades in Squad E as they begin the first steps of Operation Northern Cross. Players will be able to experience the series' signature watercolour aesthetic and get a feel for the tactical BLiTZ system before the full game launches on in September. You'll be able to play through the prologue and first two chapters of the game, as well as an exclusive bonus mission created for the demo. Demo save data, including items obtained, class levels, earned experience, and currency total will transfer over to the full game, so this could definitely be worth your time if you'll be getting the full release later down the line. 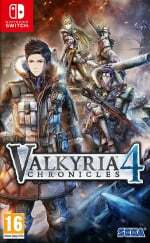 Remember, Valkyria Chronicles 4 releases on 25th September in both digital and physical formats. Are you looking forward to this one? I'll give it a go! Looks cool even though I've missed the first 3 games. "Demo save data, including items obtained, class levels, earned experience, and currency total will transfer over to the full game..."
That's cool of them. I'm not usually into games like this but I'm always willing to give a demo a shot! Never know I may like it, wish this was more common! is the pre-order bonus also with the physical edition? This game is great. You guys better support it. I've never been so excited for a demo before. Didn't realize this was out so soon, can't wait! @Mando44646 had the same question! This is a day one for me. What a sweet treat to get this demo! Valkyria Chronicles is my favorite game franchise. If you’ve never played this game, I strongly encourage trying it out. They’re releasing #1 for the Switch too, so I would likely play that first, and then go onto VC4, which has new features and an additional class. Great news! I'll definitely try the demo! I haven't played the previous games but a demo always helps! The original was one of my top PS3 titles. Never played the third although i own a physical copy. Need to find a way of playing it that doesn’t involve a hacked PSP. Will be picking this up! Where is the digital deluxe edition? What about the other DLCs? Have preordered the physical collectors edition, can’t wait to play the demo. Perfect fit for the Switch, this. Whatever happened to the first one getting a Western release? Is it happening? I wanted to check this out so much. This is definitely a game I will buy. Looks great! Might try the demo, but will probably wait for the full release. Heard good things about it, but not sure if it's my cup o' tea. Thank the heavens for demos. @FX102A Rip the ISO and emulate it on your PC? Thank you Sega! I'll give the demo a shot on the Switch and on one of the other consoles. Curious to see what sacrifices were made to get this running on the Switch. If it plays well and looks good then I would rather have a portable version. Awesome! Getting the DEMO for sure. I want the LE so going physical on the pre-order. Will give the demo a go. To anyone new to the series I wouldn't worry about being behind on narrative. This game takes place at the same time as the first but on the 'Eastern Front' rather than West so it should be as good a starting point as the original! Already pre-ordered a physical copy, but I'll take the demo for a spin. I see PS4 also has a demo, so I can compare the two versions. As long as the game runs well in portable mode, I'll keep my preorder on Switch. If not, I'll have to change over to PS4. Ohohoho what do we have here! And the save data transfers?!! It's about to get crazy in here with Okami HD (with actual touch and motion), Monster Hunter Generations Ultimate (first ever HD portable MH game), Valkyria Chronicles 4 (with a demo out now!) and The World Ends With You (classic, again with touch and motion). Forget Smash and Pokemon, THESE are the games I care about. @wolvesboy In which region? US store has it. @bstie1198 Happen to have a link? Not showing up for me on the website. Please SEGA, just give us the Yazuka and Shenmue games on Switch. It look amazing on Switch!!!.... I'm so happy! You also get to keep your DEMO save for the main game like Shining! Anybody on the fence, just do it. This is such a fantastic franchise that isn't like anything else. Plus I want 1-3 re-releases that aren't on psp or fan translations. Despite having all the Sony consoles, I never paid that much attention to this series, despite it being my kind of game. I like strategy RPGs...I suppose I've heard enough good things about it to take the plunge. I dont need a demo. This is a day one buy. I love the first on ps3 and the second on ps vita. Third never came to the west. @aSmilingMan I know they are releasing the first game in Japan, but what about the West? Wow something to tear me away from octopath. Thank you I was about to request an intervention. I was so looking forward to this game and I did pre order it now I have played the demo I do not like the turn based combat such a shame I was hoping for normal combat. Maybe this demo will sell me on the franchise. It was the awakening demo that got me into fire emblem after all. @Mando44646 looks like it's only for digital pre-orders. I wonder if that dog quest add-on worth it. @electrolite77 If you're talking about Valkyria Chronicles 1, it's been out for years. It's on Steam and even got a PS4 remaster (with a nice steelbook case). @HobbitGamer There's a game called Codename S.T.E.A.M. that's on 3DS which has similar gameplay mechanics. Yeah I played it on PS3, great game. It’s being ported to the Switch but there seems no word on that making it out of Japan. I finished the demo this evening with all troops leveled up to 4 (the max you can get for the demo; the original VC let you level troops up to 20 for perspective). The gameplay and artwork is instantly familiar to anyone who's played the original, which is a GREAT thing. While the Tutorial and early levels kind of hand-hold you, the battles continuously get tougher and more complex in nature as you progress. To any newcomers, be sure to check out the game's amazing Encyclopedia (it works exactly the same as in the original VC). It offers biographies on all the characters, which expand throughout the storyline depending on how much you use each one; you'll probably need to play through the campaign multiple times in order to unlock all characters and see their complete bios. It also comes packed with specs for every weapon, tank, location, and topic in the game. The historical canon here is clearly a labor of love, and from what I can see early on it's obvious that the VC franchise's entire world is a "parallel" Earth with its own recognizable and familiar places and events despite the name changes. Seriously, take a look through this thing and you'll see just what amazing fan service these games offer; they are jam-packed with content and value. PRO TIP: to have your troops maxed out on levels with the demo in preparation for the full game, just play the Skirmish maps a few times. You'll also earn more than enough money to purchase all the weapons and other upgrades through that point. I can't recommend this one enough to anyone who loves SRPGs. The great writing and emotional scenes (who can forget certain ones in the original? ), hybrid turn-based/real-time mechanics, permadeath, and unit and character customizations you can make at Headquarters make the Valkyria Chronicles series one of the greatest game franchises ever, of ANY genre. There, I said it. 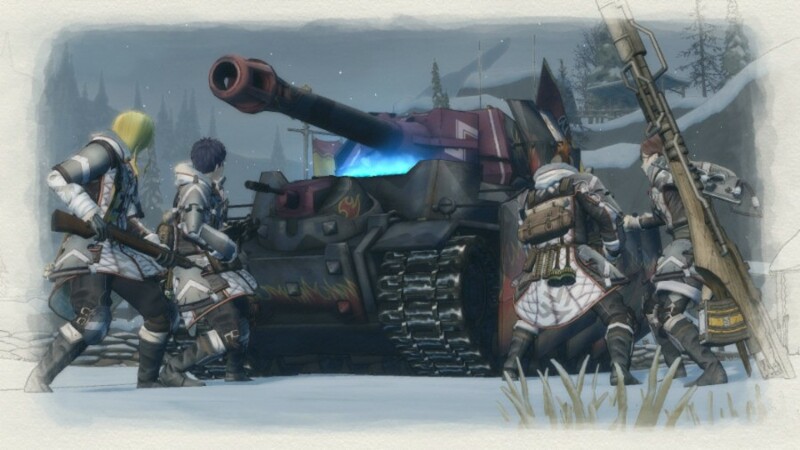 I realize that tastes vary and other folks may have a different opinion on this, but for my money in 2018, going by what I've played so far, Valkyria Chronicles 4 is my personal Game of the Year, on any platform. @Folkloner Thanks! Yeah, it's a true hidden gem which combines two of my favorite genres: shmups and puzzle games! Sadly I just own the cartridge. Hopefully I will run into a "complete in box" copy someday. @electrolite77 Ah okay, I forgot all about that. It would be nice to get VC1 on the switch, but I'm more than happy with getting VC4. @AtlanteanMan thanks for the full comment on the demo and letting people know what to expect. I really hope VC takes off in the West. It was such a pity that they never localized VC3, and kept VC2 in the PSP. @MirachsGhost that was my understanding! I'm definitely planning on double dipping. I haven't played it in a decade, and loved the original. @HobbitGamer If you enjoy Advance Wars and the VC4 demo and haven't played Ghost Recon: Shadow Wars on the 3DS, I'd highly recommend it. Code Name S.T.E.A.M. is great too. For the Switch, I've heard very good things about Tiny Metal, but I haven't played it yet myself. I think Wargroove is supposed to be coming to the Switch as well. Do you like the Fire Emblem series too? @MirachsGhost we finally got an official answer! Yes: October!